Calcium oscillations have a significant importance in gesturing messengers for a wide variety of cells because cells exhibit calcium oscillations in response to external stimulation. The significance of the calcium oscillations vividly attract researchers, this is due to the empirical, numerical or experimental analyses on calcium oscillations and the lack of modern fractional techniques. An analytic study of chaotic behavior in the calcium oscillation model is carried out through fractional and non-fractional techniques. The governing non-linear differential equations of calcium oscillations have been established through newly defined Atangana-Baleanu fractional operators. In order to analyze the dynamics of the fractional calcium oscillation model, powerful techniques are applied to the governing non-linear fractional differential equations namely the (Laplace transform and modified homotopy perturbation transform method MHATM). The newly defined Atangana-Baleanu fractional approach is examined for the parameters that show periodic doubling and route to chaos. Finally, several similarities and differences have been underlined due to the fractional-order effect for the calcium oscillations with chaotic region at different scale. 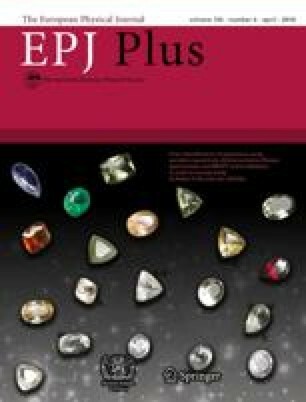 The EPJ Publishers remain neutral with regard to jurisdictional claims in published maps and institutional affiliations.